Imagine you start a business. Imagine this business picks up quickly. In almost no time, you realise that your company has become really successful, and there’s potential for so much more. But for the next phase of growth – you’re going to need more money, more credibility and reach. Is this possible while it is privately held? Perhaps. But now is the time to debate. To go or not to go (public)… that is the question. When a company becomes publicly owned, it means it has sold its shares and stocks on an exchange, entered the marketplace competing against other companies and has the potential to expand beyond private boundaries. Companies go public with a primary focus of raising funds. An IPO involves the company listing and selling its shares on the stock markets. Let’s rewind for a minute, though, and understand what we’re talking about. When a company becomes publicly owned, it means it has sold its shares and stocks on an exchange, has entered the competition against other companies and markets and has the potential to expand its business beyond private boundaries. But this also means that a new set of policies and obligations will come into force – such as trying to attract investors, transparent financial reporting, business restrictions, etc. To understand the differences between staying private and going public, let’s first analyse company ownership. There’s no optimum way to own a company – the most suitable ownership plan should be implemented depending on the kind of business and industry. Partnership involves a few partners coming together to invest in a business. There’s a common misconception that partnerships usually only involve 2-3 people – in reality, they can be any number of partners. A partnership agreement can share decision-making, profits, asset value, liability and other benefits of the business. Any business can sell shares directly to employees. New shares can be created or they can be bought from a previous owner. If shares are sold to employees then they become direct owners and have all rights of ownership. They can also sell or resell the shares. Stock options give an employee the right to purchase shares at a price fixed (the grant price) for a defined number of years into the future (the exercise term). Options usually are subject to vesting, so an employee might get, for instance, the right to purchase 25% of the shares available under the option grant after two years, 50% after three, 75% after four, and 100% after five. The exercise term is most commonly 10 years. This is done by giving memberships to additional employees or by giving them the option to buy a membership interest at a price. By funds we are referring to the financial needed to run and grow the business. Initially you need the funds to put up offices, then there are the production costs, purchase costs, marketing costs and personnel costs. Funds are also needed to keep the business running and to sustain it in its initial stages. There are two types of capital that can be used to fund a business – debt capital and equity capital. Debt capital involves borrowing money under an agreement/contract – this can be supplied via bank loans, personal loans, credit card loans, bond, etc. A company can also raise funds by selling its shares or stocks. Unlike debt capital, you do not need to repay this money. Usually the return on investment is considered in this option. These can be either common shares or preferred shares. Preferred shares are distinct from common shares – payment of a specified dividend is guaranteed on preferred shares before any such payments are made on common shares. In exchange, preferred shareholders have limited ownership rights. If you’re a small business, or just starting up, you’d likely consider this option. VC funds are investment funds from individuals or institutions who want a private stake in a small or medium scale business that shows strong growth potential. The most popular and preferred way to raise funds – an Initial Public Offering, or an IPO is what we mean when we say a company is going public. 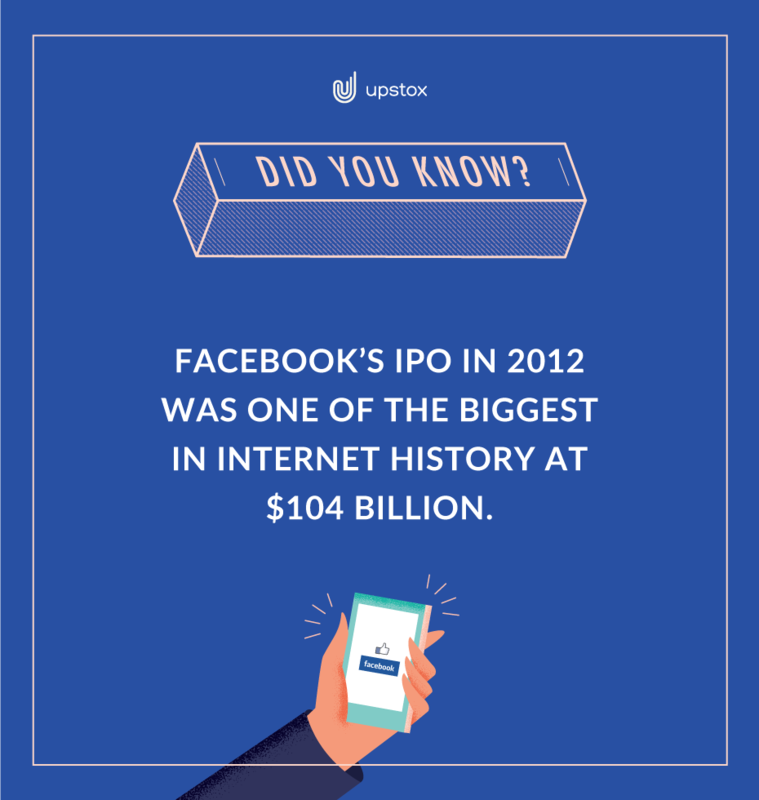 [Key Point 3: An IPO involves the company listing and selling its shares on the stock markets.] The public then trades these shares, causing a fluctuation in their value, thereby increasing the company’s valuation and helping it raise money. An IPO can yield the highest quantum of money for a company. It involves offloading a lot of shares – and distributing it to the masses, each of whom compete in the stock market to get their hands on these shares. For a reputed company with solid potential, an IPO is the best way to raise funds. It’s not just funds that follow when a company goes public. An IPO brings with itself widespread reach, more brand recall and helps cement the credibility of a brand before the masses. Going public leads to an increase in trust in the brand, since the company is now seen as raising funds from the market. One of the most directly observable results of going public is its impact on its market value. Since a company’s shares go public at a certain value, any fluctuation in this value leads to a direct change in the company’s market valuation. If the price rises, the company will be worth much more. This in turn again leads to an increase in brand strength. If the company were to off-load more shares at an increased value, it would raise much more capital. All these factors – funds, market valuation and brand strength feed of off each other and are interconnected. An IPO directly influences all three, and is usually the best way to optimise them all. Going public refers to a company selling its share to the public i3n a free market – on a stock exchange. There are plenty of reasons for a company to go public – raising funds, improving market valuation and building brand credibility.